A raceboat heritage makes the Catalina 38 a nimble cruiser. Congressional Cup. The company went on to build 366 Catalina 38s over the next 14 years. 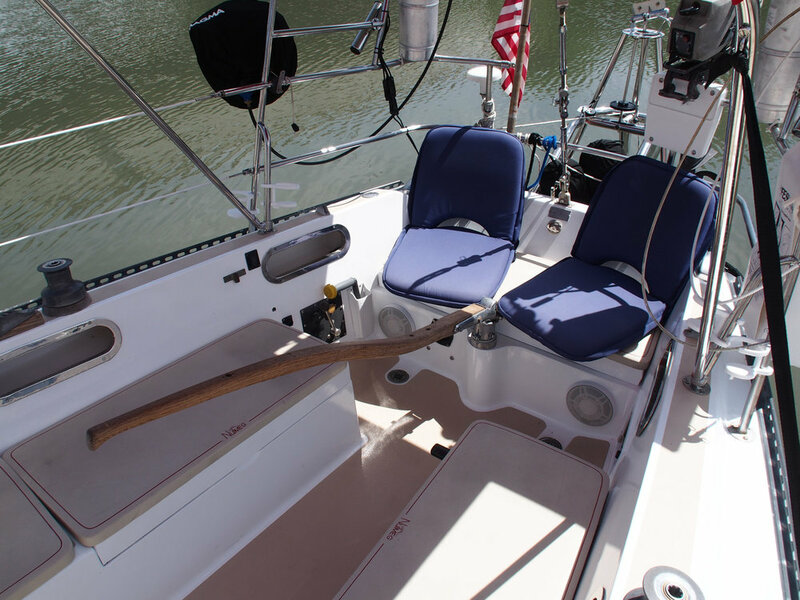 balanced spade rudder and created a high­aspect­ratio rig with a taller mast and shorter boom. 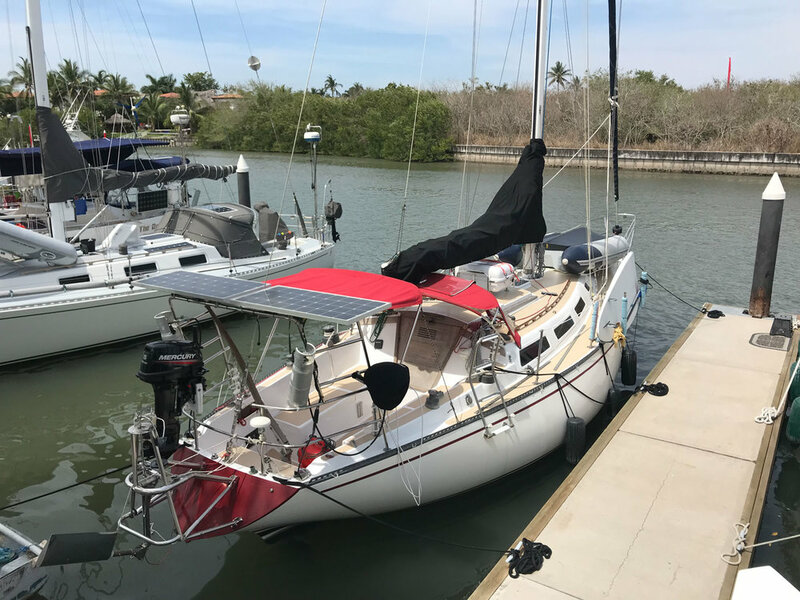 the foredeck can be tricky, especially if a wide dodger is fitted. approaches 7 feet, a limiting factor for some cruising sailors. the IOR warhorses, including the Catalina 38, in fact make fine cruising boats. fiberglass, but in later models it was covered with teak and holly veneer. 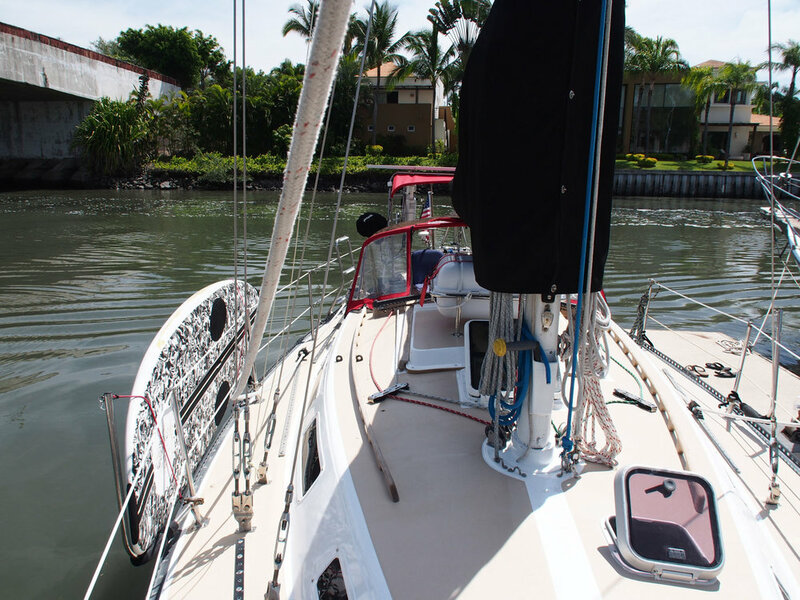 are the head to port, lockers to starboard and the V­berth, which easily accommodates two adults. the dinette is a snug U­shaped galley. station backs up to a quarter berth that extends under the cockpit. the bow and stern of this fine­-ended boat. speed in moderate wind and chop. Engine access is adequate. This article first appeared in the February 2014 issue of Cruising World.